When you first enter one of our store locations, you may feel overwhelmed about the array of frame choices on display. Do you choose a metal frame or one made of a sophisticated plastic material? Should the frames be the focal point or will you want a “frameless” appearance? Your eyewear should echo your best feature, such as matching your hair color or eye color. The scale of the frames should match the size of your face. 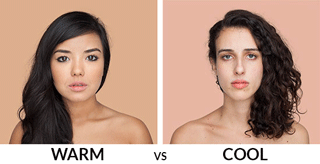 All people have skin tones that fall into one color group or the other. Cool coloring is blue-based, and Warm coloring is yellow-based. Making choices based on your specific coloring enhances the fashion statement that you make with your eyeglass frames. At Doyle Opticians and Marcus Opticians we are here as your opticians by helping you choose the perfect frames to suit your personal style.